2 bedroom/1 bathroom unit backside of duplex. Tile flooring, kitchen with side yard entrance, inside washer/dryer hookup. 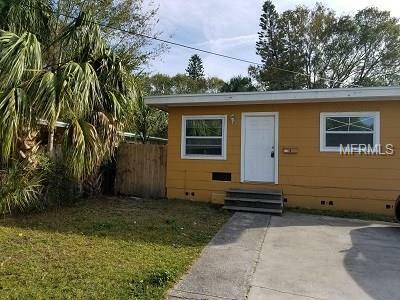 This property is near Saint Petersburg downtown with easy access to I-275 interstate. Rent includes water, sewer, and trash. Pet Restrictions No Aggressive Breed Animals Reptiles Will Be Allowed. Pets Do Require in Person Pet interview pet Application Also And A Copy Of The Vet Records And Tag. Listing provided courtesy of Cavalier Estates Llc.